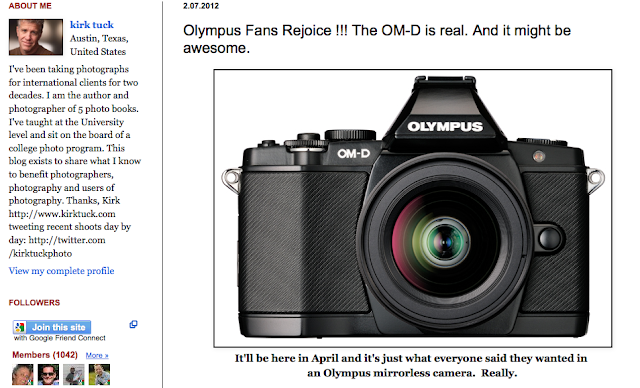 Nice piece by Kirk on the new Olympus. Nothing there I'd disagree with, so saves me writing anything!! Just to mention again that I updated yesterdays post to say that I've ordered one. Just couldn't resist it. I know I shouldn't have watched those hands-on videos.